The hustle and bustle of an office setting is something I’m no stranger to. But this is no ordinary office. At the Santa Barbara International Film Festival (SBIFF) headquarters, where I am an intern, the chatter is charged with creativity: questions about the quality of amateur nature documentaries or what high-caliber talent will be honored at this year’s event. Every wall is a different eccentric color, strewn with canvas prints of familiar celebrity faces from festivals in years past. Australian Actor Hugh Jackman poses with his wife, Deborra-Lee Furness. I am one of only a few hundred students at both UC Santa Barbara and Santa Barbara City College who have been fortunate enough to intern at the Film Festival over the years in order to gain professional experience.This non-profit has almost every department you can think of: production development, public relations, education, event-planning, marketing—you name it. 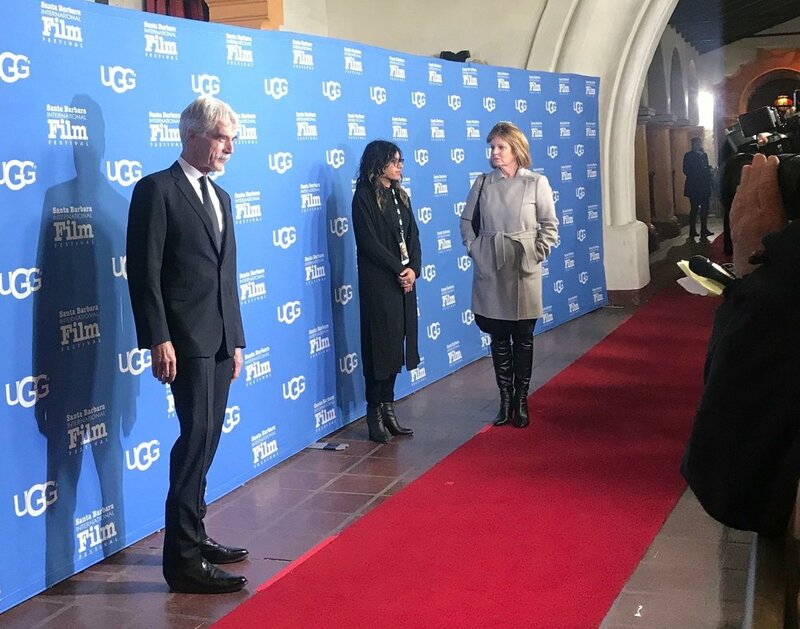 SBIFF gives students opportunities to dive into their creative outlets and make contributions to events such as the Kirk Douglas Award ceremony, one of Santa Barbara’s biggest nights of the year. To attend events such as these, however, everybody must put in the work! American actor Sam Elliot (left) poses for press photos. I was hired as the first-ever marketing intern and it has been the experience of a lifetime. If someone told me a year ago that I would be live-streaming on the red carpet, standing just a few feet away from stars like Sam Elliot and Rami Malek, my jaw would have been on the floor. I don’t think I will never forget the moment when I was taking live video footage of Melissa McCarthy on the red carpet and she turned to me and teased, “Don’t get me at that angle!” It was absolutely mortifying (and maybe a little funny). 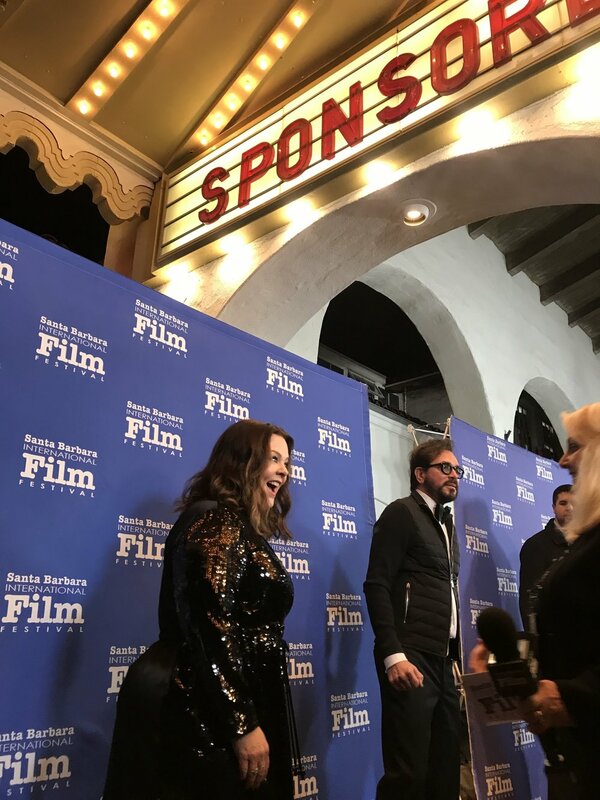 American actress Melissa McCarthy smiles for the cameras at the Santa Barbara International Film Festival. The festival’s mission includes film education for the community, ranging from bringing local elementary school students to free movie screenings to the comprehensive internship experience offered to college students like myself. Of course, the most important event of the year— the festival itself— takes the entire year to plan. The months prior to the event slowly tended to get busier and more crowded, and the empty desks in the office began to fill with eager interns typing away at program content or marketing materials. As the 2019 Festival wraps up, I’m impressed by the productive and enthusiastic staff, even in the most stressful moments behind the scenes. Despite the chaos, department heads still maintain the ability to delegate tasks to interns amid their ever-shifting schedules. Interning in the film industry has taught me that patience and persistence is monumental when dealing with the moving parts of the Hollywood agenda. If I can offer any advice to future SBIFF interns: don’t wear the heels. And of course, be careful not to capture Melissa McCarthy at that angle. Taylon Faltas is a third-year UC Santa Barbara student majoring in Communication Studies. She wrote this for her Writing Progam course Journalism for Web and Social Media.